It's officially cold. Or colder, at least. Although to be fair, I am always pretty cold. So I have a bit of a love/hate relationship with the colder weather. Hate the cold, but LOVE the fact that I can layer up. Why wear one amazing jacket when you can wear two at the same time right? So I'm going to show you three ways to style the biggest A/W 17 coat trends with Debenhams. Checks, as you well know, are probably the biggest trend this season. Whether they're monochrome or reds and greens, the tweed vibe is everywhere. I love the flared fit of this coat and the colours too. 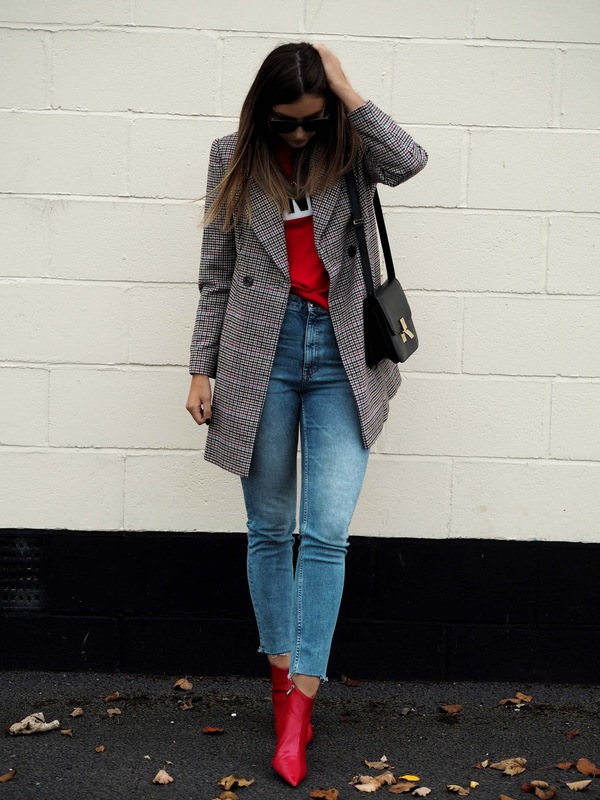 It's perfect throwing on with jeans and a red jumper to bring out the red in the jacket. I decided to pair this with some red boots too to dress it up a bit. Check out this coat by clicking here and find the whole check edit here. The military trend has been huge and something that always seems to come in and out of fashion, particularly over winter. 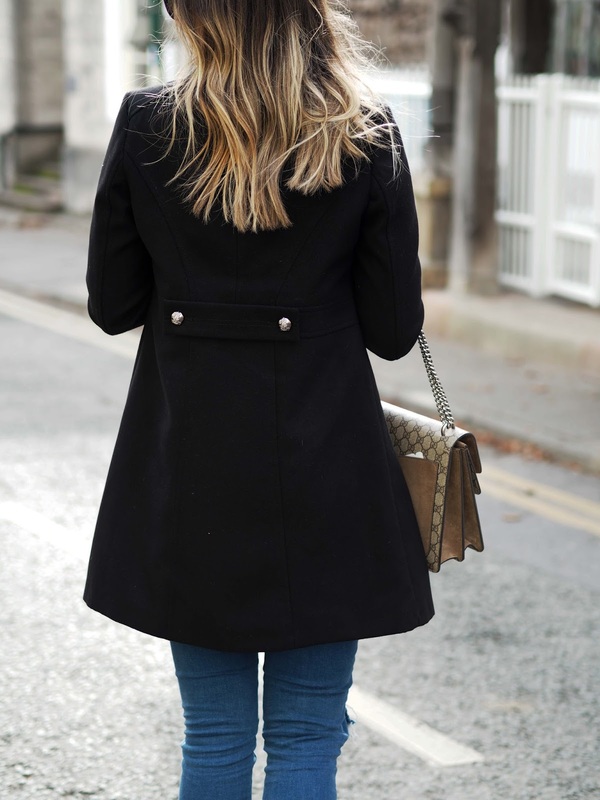 I love the really tailored feel to military style coats, especially this one. The silver detailing on this jacket is so chic and the fit is super flattering. I kept the outfit simple and chic with a black high neck jumper, simple blue skinny jeans and some studded flat boots. I used my Gucci to bring a little lightness into the look and it suits perfectly with the silver buttons. Shop this coat here and you can find the whole Military edit here. One of my all time favourite colours. I seem to be drawn to everything red and this jacket just really stood out to me. I loved the biker feel to it and the red leather is something a little different. I paired this with a cute logo tee and some monochrome pants (which actually look way more flattering in real life). I teamed it with some sock boots to dress it up a little. 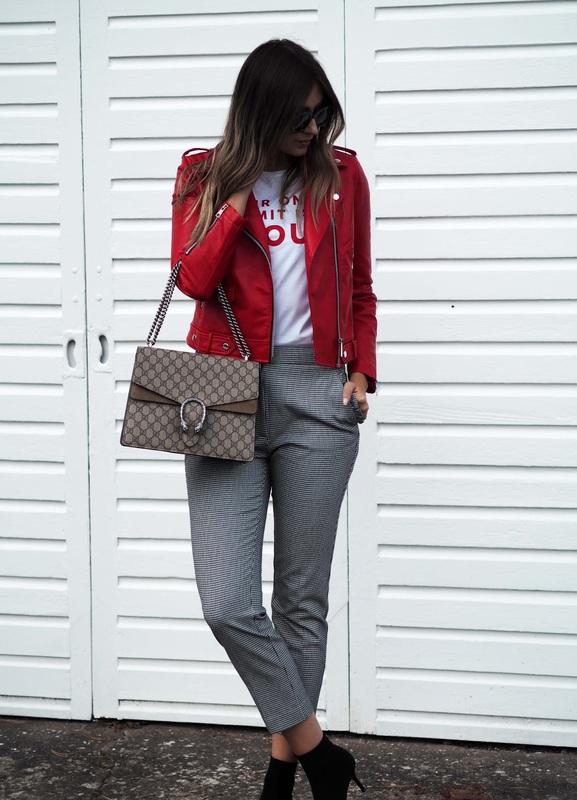 You can find this jacket here and the whole red inspired edit here. *This post was made in collaboration with Debenhams but all words and views are my own.